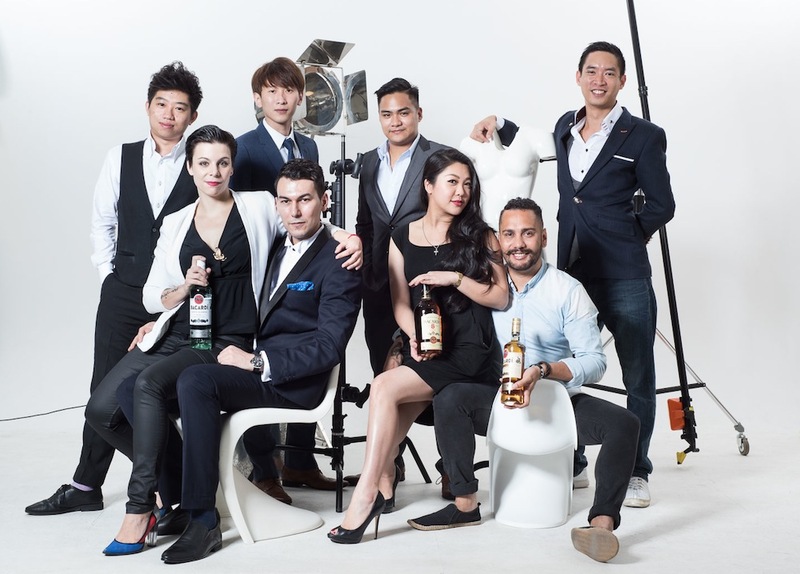 Returning for a seventh consecutive year, the Bacardi Legacy Global Cocktail Competition is back and better than ever, inviting bartenders from Taiwan, Hong Kong and Macau to compete for the 2016 title. The aim of the game you ask? To create a new Legacy cocktail that can be easily replicated in bars across the globe and stand the test of time. With eight passionate and innovative finalists selected, this year’s competition is set to be a thriller… so read ahead to uncover the stories behind the potential legacies put forth. My cocktail is a tribute to the story of the Bacardi family – the legacy of kindness, generosity and unity. My cocktail was made to bring people together and to share a moment regardless of whether they are rich or poor, black or white; it’s about love. I miss my home just as Bacardi misses Cuba, but I have a second family in the amazing people I’ve met around the world, so in my heart I’m never alone. This cocktail helps me share my moments with all of them and to keep the Bacardi Legacy alive. Reborn Padre Blanco is a twist of my creation from last year, which was dedicated to Ernest Hemingway – an American journalist who loved to drink a Classic Daiquiri at El Floridita Bar. This time I twisted it into a long drink similar to a Mojito as he also drank this when he used to go to La Bodeguita Bar. Reborn is a term referring to any person or anything that has existed already and this year Padre Blanco is Reborn with Bacardi Superior White Rum. With the Bacardi I used guava, to compliment the spirit and to represent the fruit bats – which Amalia insisted to use as a symbol of good health, family unity and a fortune on their business of rum making – lime juice to give it balance, agave nectar as a sweetener for a diabetic (like Hemingway), egg white as a symbol of a new life and mint leaves and soda to refresh your body and mind in a hot climate such as Cuba. In the middle ages noblity served thier guests gold as a generous and hospitable gesture. It was also believed that something this valuable and rare must be beneficial to ones health. It is this belief that inspired me to create a drink that brings five neat ingredients together in a cocktail that represents all of these qualities. The Oro bestows health and wealth to those who drink it, generating wealth with each sip. Something that can be enjoyed by the Bacardi family as well as family and friends. It is my gift for generations to come, a drink that leaves something behind for the future… a real legacy. The name Constance means “firm of purpose”, as well as; faithful, loyal, and a keeper of promises. Frankie was a big guy. He had one of those laughs that came from the depths of his belly. He was also my first Bar Captain, he ran that bar like a general. Naturally, I was both in awe and fear of him for the next few months. So imagine my shock one day, as I was frantically refilling soft drinks in the chiller, to hear that deep laugh behind me. I froze and peeked over the chiller door to see Frankie standing over me, with the biggest smile on his face. Immediately I thought to myself, “what could I have done wrong this time?” Near panic, I asked shakily, “why are you laughing?” Clearly amused, he simply said, “you’re still here!” Surprised I replied, “of course I’m still here. Where do you think I’m going?” From that day on, he started teaching me all that he knew about cocktails. Nothing quite displays a bartender’s persistence and dedication to their craft than the fact that they are still here, still doing what they do, from the days through the years; the beauty of constancy. The pineapple is a symbol of hospitality, but the leaves are sharp, and it hurts us sometimes. But it will always be a part of us. Like the legacy of the Bacardi family – we fall, sometimes. At other times, we are rejected – and, every so often, we find a need to start over. But those who understand the spirit of Constance, and are faithful to their craft, always persevere. Some of the greatest people I have met and come to call my closest friends and family are from this industry. This community is everything to me; to us. Even though Frankie is no longer with us, his spirit lives on through the gift he’s given me: an initiation into this community of faithful, inspirational people. So of course I’m still here – where do you think I’m going? Constance enhances the delicate citrus notes of Bacardi Superior with just a touch of lemon juice. The Jasmine tea also works to accentuate the light, leafy woodiness alongside an equal amount of sweetness, finished with an aromatic lift of spice through wasabi, a pinch of salt and a pineapple leaf. The B’s Knees is a tribute to the prohibition days. When the original bees knees was created to mask poor craftsmanship. The drink contained honey and lemon to hide the flavour of poorly distilled gin. The B’s Knees pays homage to that and celebrates the second coming of the next golden age of cocktails. Instead of using honey to mask, I use it as an undertone and to show off the Bacardi rum. My legacy is remembering where we came from, and pushing forward. With a superior product comes a responsibility not to mask it but to make it soar onto our taste buds to savor. I created The Honeymoon cocktail in a small and cozy hotel bar in Thailand seven months ago. While my fiancé and I were sitting in the bar she asked me to do something special and this is when The Honeymoon cocktail was created. I’m a bartender who loves to create cocktails and, with my bar managers support, I worked on refining my cocktail to be balanced and to really hero the spirit. I used Bacardi because I wanted to tell my story with a drink. Four years ago I had to leave my country and my family because of mandatory service in the army. When I came to Hong Kong I struggled with challenges that were above my ability but I didn’t give up… all the other ingredients tell my life and my love story! One day I saw a beautiful Chinese lady dancing and the way she moved was swift, elegant and captivating, which inspired me to create Nishang Yuyi. I used lychee, which represents “oriental,” yellow which represents “the flower,” orange which represents “love,” grappa which represents the “floral notes,” simple syrup which represents “ sweetness” and Bacardi which represents “soul of the drink” enhancing all the flavours that creates Nishang Yuyi. I then garnish with an Oncidium flower as the dancing doll orchid represents “the dancing lady”. I believe a good song lasts forever, no matter how good the lyrics are, there has to be a good rhythm to refine it. Just like my Legacy drink, I have refined my drink by countless trials and errors. And now it is finally completed. I hope you all will enjoy my “Rhythm” and that it lasts forever. Drop the Beat.